A run for national political office is like the aftermath of a night of hard drinking, with random people you don’t know reminding you of weird, stupid stuff you did. 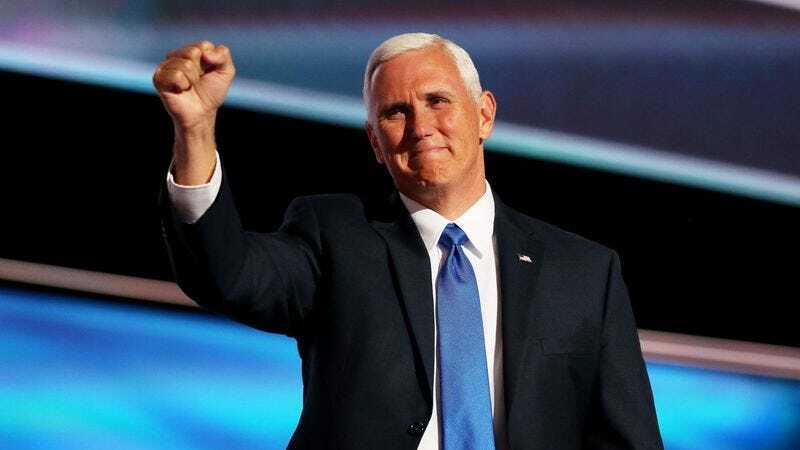 And so it is with Republican vice presidential candidate, Indiana Governor Mike Pence, who’s had all sorts of skeletons brought out of his closet, and some skeletons are more humerus than others. If that kind of workmanlike pun cracks you up, and you’re loosely familiar with the formal study of law, definitely check out Law School Daze, the comic strip Pence created while working on his juris doctor at Indiana University. Then again, most of Law School Daze—which is about a law student named Daze, you see—will probably fly over the heads of all but those who attended IU’s Robert H. McKinney School Of Law. Pence published his strips in the law school’s student newspaper in the mid-’80s, and loyal readers got to follow all Daze’s crazy adventures, like chastising his classmates for finding the humor in criminal law, and feigning disinterest in a senior award. There are some broader gags sprinkled throughout Daze, including an advertisement for a children’s legal magazine called Torts Illustrated. As tort-related puns go, you could do a lot worse. Plus, all things considered, one could argue that Pence’s present is way more embarrassing than his past.